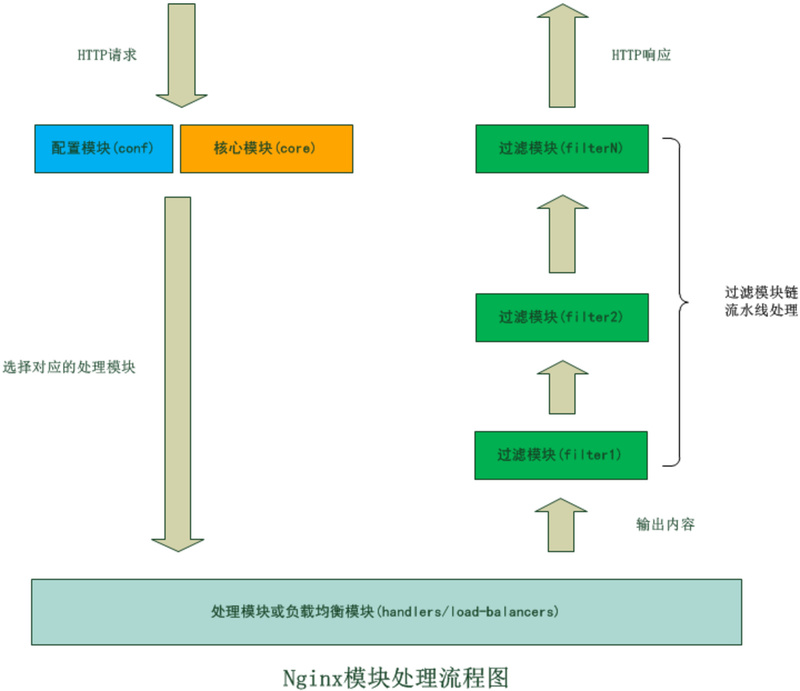 grequests – requests 库 + gevent ，用于异步 HTTP 请求. 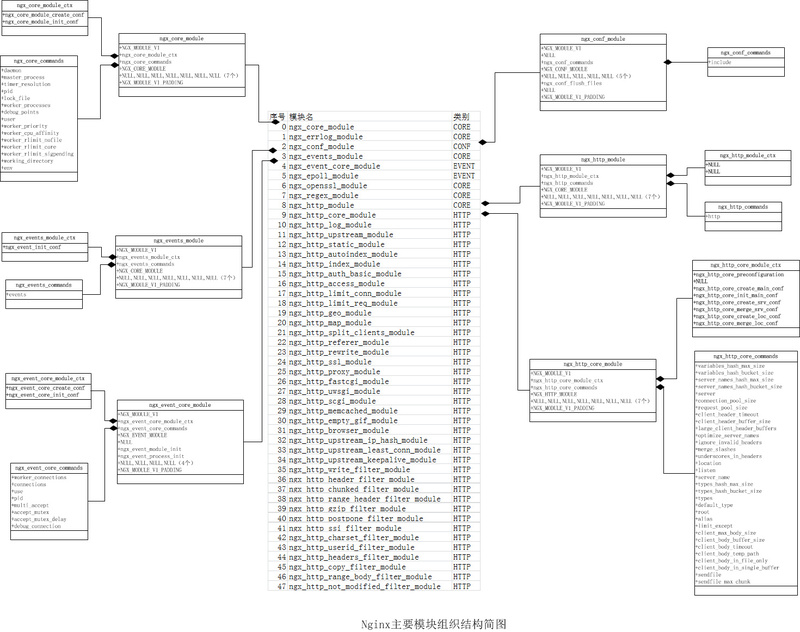 oursql – 一个更好的 MySQL 连接器，支持原生预编译指令和 BLOBs. Carteblanche – Module to align code with thoughts of users and designers. Also magically handles navigation and permissions. money – 货币类库with optional CLDR-backed locale-aware formatting and an extensible currency exchange solution. Cerberus – A mappings-validator with a variety of rules, normalization-features and simple customization that uses a pythonic schema-definition. // Returns a color in the same color space as the receiver with the specified alpha component. 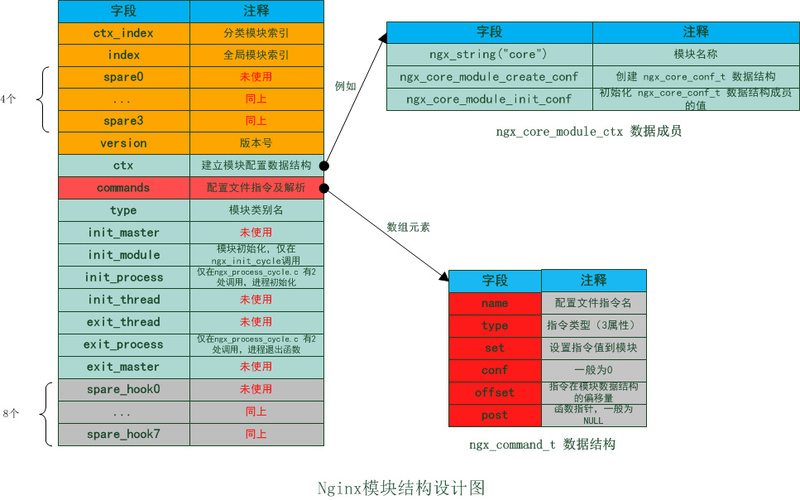 打开：你的target -> Build Phases -> Compile Sources. allentekiMac-mini:JiKaTongGit lihuaxie$ grep -r advertisingIdentifier . 将dictionary 转化为 NSData， data 转化为 string . 这里所配置的 Xmn 为 20M，也就是指定了新生代的内存空间为 20M，可是从打印的堆信息来看，新生代怎么就只有 18M 呢? 另外的 2M 哪里去了? The Java memory model specifies how the Java virtual machine works with the computer’s memory (RAM). The Java virtual machine is a model of a whole computer so this model naturally includes a memory model – AKA the Java memory model. It is very important to understand the Java memory model if you want to design correctly behaving concurrent programs. The Java memory model specifies how and when different threads can see values written to shared variables by other threads, and how to synchronize access to shared variables when necessary. The original Java memory model was insufficient, so the Java memory model was revised in Java 1.5. This version of the Java memory model is still in use in Java 8. Each thread running in the Java virtual machine has its own thread stack. The thread stack contains information about what methods the thread has called to reach the current point of execution. I will refer to this as the “call stack”. As the thread executes its code, the call stack changes. The thread stack also contains all local variables for each method being executed (all methods on the call stack). A thread can only access it’s own thread stack. Local variables created by a thread are invisible to all other threads than the thread who created it. Even if two threads are executing the exact same code, the two threads will still create the local variables of that code in each their own thread stack. Thus, each thread has its own version of each local variable. All local variables of primitive types ( boolean, byte, short, char, int, long, float, double) are fully stored on the thread stack and are thus not visible to other threads. One thread may pass a copy of a pritimive variable to another thread, but it cannot share the primitive local variable itself. The heap contains all objects created in your Java application, regardless of what thread created the object. This includes the object versions of the primitive types (e.g. Byte, Integer, Long etc.). It does not matter if an object was created and assigned to a local variable, or created as a member variable of another object, the object is still stored on the heap. A local variable may be of a primitive type, in which case it is totally kept on the thread stack. A local variable may also be a reference to an object. In that case the reference (the local variable) is stored on the thread stack, but the object itself if stored on the heap. An object may contain methods and these methods may contain local variables. These local variables are also stored on the thread stack, even if the object the method belongs to is stored on the heap. An object’s member variables are stored on the heap along with the object itself. That is true both when the member variable is of a primitive type, and if it is a reference to an object. Static class variables are also stored on the heap along with the class definition. Objects on the heap can be accessed by all threads that have a reference to the object. When a thread has access to an object, it can also get access to that object’s member variables. If two threads call a method on the same object at the same time, they will both have access to the object’s member variables, but each thread will have its own copy of the local variables. Two threads have a set of local variables. One of the local variables (Local Variable 2) point to a shared object on the heap (Object 3). The two threads each have a different reference to the same object. Their references are local variables and are thus stored in each thread’s thread stack (on each). The two different references point to the same object on the heap, though. Notice how the shared object (Object 3) has a reference to Object 2 and Object 4 as member variables (illustrated by the arrows from Object 3 to Object 2 and Object 4). Via these member variable references in Object 3 the two threads can access Object 2 and Object 4. The diagram also shows a local variable which point to two different objects on the heap. In this case the references point to two different objects (Object 1 and Object 5), not the same object. In theory both threads could access both Object 1 and Object 5, if both threads had references to both objects. But in the diagram above each thread only has a reference to one of the two objects. //... do more with local variables. //... do more with local variable. If two threads were executing the run() method then the diagram shown earlier would be the outcome. The run() method calls methodOne() and methodOne() calls methodTwo(). methodOne() declares a primitive local variable (localVariable1 of type int) and an local variable which is an object reference (localVariable2). Each thread executing methodOne() will create its own copy of localVariable1 and localVariable2 on their respective thread stacks. The localVariable1 variables will be completely separated from each other, only living on each thread’s thread stack. One thread cannot see what changes another thread makes to its copy of localVariable1. Each thread executing methodOne() will also create their own copy of localVariable2. However, the two different copies of localVariable2 both end up pointing to the same object on the heap. The code sets localVariable2 to point to an object referenced by a static variable. There is only one copy of a static variable and this copy is stored on the heap. Thus, both of the two copies of localVariable2 end up pointing to the same instance of MySharedObject which the static variable points to. The MySharedObject instance is also stored on the heap. It corresponds to Object 3 in the diagram above. Notice how the MySharedObject class contains two member variables too. The member variables themselves are stored on the heap along with the object. The two member variables point to two other Integer objects. 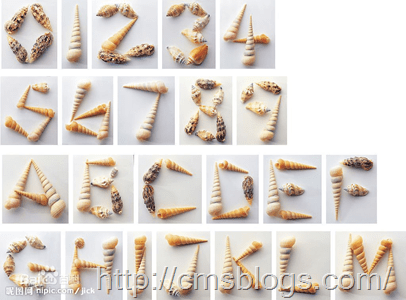 These Integer objects correspond to Object 2 and Object 4 in the diagram above. Notice also how methodTwo() creates a local variable named localVariable1. This local variable is an object reference to an Integer object. The method sets the localVariable1 reference to point to a new Integer instance. The localVariable1 reference will be stored in one copy per thread executing methodTwo(). The two Integer objects instantiated will be stored on the heap, but since the method creates a new Integer object every time the method is executed, two threads executing this method will create separate Integer instances. The Integer objects created inside methodTwo() correspond to Object 1 and Object 5 in the diagram above. Notice also the two member variables in the class MySharedObject of type long which is a primitive type. Since these variables are member variables, they are still stored on the heap along with the object. Only local variables are stored on the thread stack. Modern hardware memory architecture is somewhat different from the internal Java memory model. It is important to understand the hardware memory architecture too, to understand how the Java memory model works with it. This section describes the common hardware memory architecture, and a later section will describe how the Java memory model works with it. A modern computer often has 2 or more CPUs in it. Some of these CPUs may have multiple cores too. The point is, that on a modern computer with 2 or more CPUs it is possible to have more than one thread running simultaneously. Each CPU is capable of running one thread at any given time. That means that if your Java application is multithreaded, one thread per CPU may be running simultaneously (concurrently) inside your Java application. Each CPU contains a set of registers which are essentially in-CPU memory. The CPU can perform operations much faster on these registers than it can perform on variables in main memory. That is because the CPU can access these registers much faster than it can access main memory. 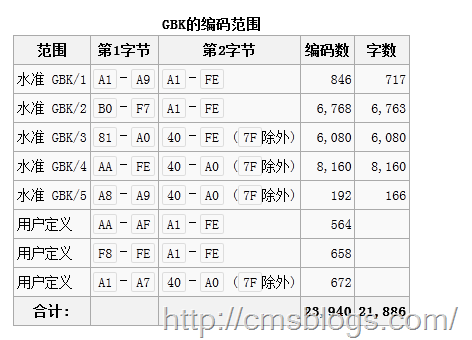 Each CPU may also have a CPU cache memory layer. 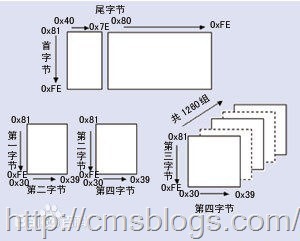 In fact, most modern CPUs have a cache memory layer of some size. The CPU can access its cache memory much faster than main memory, but typically not as fast as it can access its internal registers. So, the CPU cache memory is somewhere in between the speed of the internal registers and main memory. Some CPUs may have multiple cache layers (Level 1 and Level 2), but this is not so important to know to understand how the Java memory model interacts with memory. What matters is to know that CPUs can have a cache memory layer of some sort. A computer also contains a main memory area (RAM). All CPUs can access the main memory. The main memory area is typically much bigger than the cache memories of the CPUs. Typically, when a CPU needs to access main memory it will read part of main memory into its CPU cache. It may even read part of the cache into its internal registers and then perform operations on it. When the CPU needs to write the result back to main memory it will flush the value from its internal register to the cache memory, and at some point flush the value back to main memory. The values stored in the cache memory is typically flushed back to main memory when the CPU needs to store something else in the cache memory. The CPU cache can have data written to part of its memory at a time, and flush part of its memory at a time. It does not have to read / write the full cache each time it is updated. Typically the cache is updated in smaller memory blocks called “cache lines”. 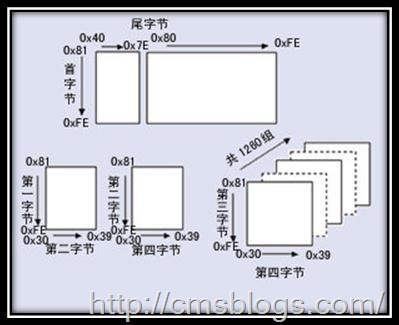 One or more cache lines may be read into the cache memory, and one or mor cache lines may be flushed back to main memory again. Visibility of thread updates (writes) to shared variables. Race conditions when reading, checking and writing shared variables. Both of these problems will be explained in the following sections. If two or more threads are sharing an object, without the proper use of either volatile declarations or synchronization, updates to the shared object made by one thread may not be visible to other threads. Imagine that the shared object is initially stored in main memory. A thread running on CPU one then reads the shared object into its CPU cache. There it makes a change to the shared object. As long as the CPU cache has not been flushed back to main memory, the changed version of the shared object is not visible to threads running on other CPUs. This way each thread may end up with its own copy of the shared object, each copy sitting in a different CPU cache. The following diagram illustrates the sketched situation. One thread running on the left CPU copies the shared object into its CPU cache, and changes its count variable to 2. This change is not visible to other threads running on the right CPU, because the update to count has not been flushed back to main memory yet. To solve this problem you can use Java’s volatile keyword. The volatile keyword can make sure that a given variable is read directly from main memory, and always written back to main memory when updated. If two or more threads share an object, and more than one thread updates variables in that shared object, race conditions may occur. Imagine if thread A reads the variable count of a shared object into its CPU cache. Imagine too, that thread B does the same, but into a different CPU cache. Now thread A adds one to count, and thread B does the same. Now var1 has been incremented two times, once in each CPU cache. If these increments had been carried out sequentially, the variable count would be been incremented twice and had the original value + 2 written back to main memory. However, the two increments have been carried out concurrently without proper synchronization. Regardless of which of thread A and B that writes its updated version of count back to main memory, the updated value will only be 1 higher than the original value, despite the two increments. To solve this problem you can use a Java synchronized block. A synchronized block guarantees that only one thread can enter a given critical section of the code at any given time. Synchronized blocks also guarantee that all variables accessed inside the synchronized block will be read in from main memory, and when the thread exits the synchronized block, all updated variables will be flushed back to main memory again, regardless of whether the variable is declared volatile or not. This list was last updated in March 2015. Why are updates to my reading list so rare? Because computers change a lot in 10 years, but people don’t. To make better software, you need to understand how people work, and that is what the books I recommend tend to focus on. Steve McConnell’s Code Complete 2 is the Joy of Cooking for software developers. Reading it means that you enjoy your work, you’re serious about what you do, and you want to keep improving. In Code Complete, Steve notes that the average programmer reads less than one technical book per year. The very act of reading this book already sets you apart from probably ninety percent of your fellow developers. In a good way. I like this book so much that the title of this very website is derived from it – the examples of what not to do are tagged with the “Coding Horror” icon. There’s nothing funnier than a Coding Horror – until you have to deal with one yourself. Then it’s suddenly not so funny any more. Do yourself a favor. Make this the first book you read, and the first book you recommend to your fellow developers. Arguably the only classic book in our field. If you haven’t read it, shame on you. I challenge any developer to pick up a copy of The Mythical Man Month and not find this tale of a long-defunct OS, and the long-defunct team that developed it, startlingly relevant. This twenty-five year old book boldly illustrates one point: computers may change, but people don’t. Reading this classic work will certainly be a better use of your time than poring over the latest thousand page technical tome du jour. The single best book on usability I’ve ever read. The title says “web usability” but don’t be fooled by its faux specificity. Steve Krug covers every important usability concept in this book, and covers it well. It’s almost fun. If you choose to read only one book on usability, choose this one. It’s chock full of great information, and it’s presented in a concise, approachable format. It’s suitable for any audience: technical, non-technical, user, developer, manager, you name it. Er… yeah. Never been in a meeting like that. The solution to this problem, by the way, is quick and dirty usability testing. Imagine that: making decisions based on actual data instead of never ending, last man standing filibuster style religious debates. Revolutionary! The full title of this book is Rapid Development: Taming Wild Software Development Schedules, which isn’t just long-winded and vaguely ridiculous, it’s also an unfortunate misnomer. Rapid Development isn’t about rapid development. It’s about* the reality of failure* . The vast majority of software development projects will fail: they will overrun their schedules, produce substandard results, or sometimes not even finish at all. This isn’t an argument; it’s a statistical fact. The unpleasant truth is that your team has to be very good to simply avoid failing, much less to succeed. While that may sound depressing – okay, it is depressing– you’ll still want to read this book. Why? Because half* of success is not repeating the same mistakes you, or other people, have made. The epiphany offered in this book is that making mistakes is good– so long as they are all new, all singing, all dancing mistakes. If you’re making the same old classic mistakes, you’ve failed before you’ve even begun. And you probably have no idea how likely it is that you’re making one of these mistakes right now. Our field is one of the few where change is the only constant, so it’s only natural to embrace that change and try different “Rapid” development techniques. But the converse isn’t true. We can’t assume that so much has changed since 1970 that all the old software development lessons are obsolete and irrelevant when compared to our hot new technology. It’s the same old story: computers have changed; people haven’t. At least have some idea of what works and what doesn’t before you start– in McConnell’s words, “read the instructions on the paint can before painting.” Sure, it sounds obvious enough until you read this book and realize how rarely that actually happens in our field. * According to the book, technically, one-quarter. But I think it’s more than that. If you’ve ever seen the performance of an all-star sports team suffer due to poor coaching, you’ll appreciate this book. It doesn’t matter how many “coding superstars” you’ve got when none of them can talk to each other, or agree on anything. And it no developer, however talented, can work effectively when constantly being barraged with minor interruptions. Developers aren’t known for their people skills, per se, but here’s the ironic part: the success of your project may hinge on just that. If you have any legitimate aspirations to be a “Team Leader” in practice instead of in name only, you need to pick up a copy of this book. While Peopleware is full of great, totally valid points, it also implies a level of employee control over the workplace that is pure fantasy at most companies. But at least you’ll know when your work environment, or your team, are the real problem – and more importantly, what to do about it. It can be incredibly frustrating to develop software, because so much can go wrong. A lot of what we do is defensive: trying to anticipate what will go wrong before it does. It’s mentally fatiguing, and can eventually manifest itself in some negative ways. I sometimes describe this to non-technical people as building a watch with a thousand moving parts, all of which can fail randomly at the slightest provocation. Good times! Designing software is difficult, to be sure, but designing a door is difficult too. The nuances of design extend into every object you touch, whether it’s some hot new SQL engine, or a humble shoe. This book will give you a new appreciation of the “devil in the details.” If designing a door isn’t the no-brainer we thought it was, maybe it’s time to give ourselves a break for not being able to design software perfectly, either. Alan Cooper, father of Visual Basic, godfather of usability. I’ve owned a few versions of this book now (this is version four), and it is the rare book which is getting better and better as it is revised, and more authors are added for different perspectives. About Face is full of generally applicable guidelines for mobile and web. Of the GUI problems used for illustration – with examples from the hoary old Windows 95 UI – it’s interesting to compare which have been mostly resolved (using visual examples to show the effects of dialog selections before you make them), and which have not (stopping the proceedings with modal idiocy). It’s a fantastically useful book; I’ve used whole chapters as guides for projects I worked on. This is the book that introduced the world to the concept of personas: rather than thinking of users as an abstract, difficult-to-describe, amorphous group of people, personas instruct us to talk about specific users who have names, personalities, needs, and goals. Would our users want a print preview feature? Who knows? But if Gerry Manheim, Account Executive, has to print out his weekly expense report as a part of his job, you better believe print preview needs to be in there. There’s nothing magical here; as always, it boils down to knowing who your users are and what they really do – and the personas technique is a great way to get there. There’s also an interesting analysis here of how developers tend to think themselves qualified to make usability decisions on behalf of “regular” users, when in reality they’re anything but. Developers are freakish, extreme users at best– “Homo Logicus” versus “Homo Sapiens.” Unless you happen to be writing a compiler where developers are the end users. One hidden lesson in this book is that sometimes it doesn’t matter how good your design is: the scanner software and the web development software which Alan consulted on, and uses as examples in this book, both failed in the marketplace for reasons that had nothing to do with their usability– which was verifiably excellent. * Sometimes great products fail for reasons beyond your control, no matter how hard you try. Feel free to use this fact to counterbalance the sometimes bombastic tone of the book. * I owned the exact model of “behind the keyboard” USB scanner pictured in the book, and I was quite impressed with the bundled scanning software. I eventually gave this scanner to my Dad. One time I was chatting on the phone with him and without any prompting at all, he mentioned to me how much he liked the scanning software. This was before the book had been published! I hesitated to include Programming Pearls because it covers some fairly low-level coding techniques, but there are enough “pearls” of software craftsmanship embedded in this book to make it well worth any developer’s time. Any book containing this graph..
.. is worth its weight in gold. TRS-80 versus DEC Alpha to illustrate 48n versus n3 algorithms? Come on folks, it just doesn’t get any better than that. Programming Pearls is the next best thing to working side by side with a master programmer for a year or so. It is the collective wisdom of many journeyman coders distilled into succinct, digestible columns. I won’t lie to you: there are entire chapters that can probably be ignored. For example, I can’t imagine implementing sorting, heap, or hash algorithms as documented in columns 11, 13, and 14 respectively, given today’s mature libraries of such basic primitives. But for every textbook-tedious exercise, there is real, practical advice alongside. Just scan through the book, ignoring the code sections, and I doubt you’ll be disappointed. Column 8, “Back of the Envelope” is essential, probably the best treatment of estimation I’ve seen anywhere. It also goes a long way towards explaining those crazy interview questions that companies love to annoy us with. You can read sample sections of the book online if you’re still on the fence. I recently used the chapter on strings to illustrate the use of Markov chains in generating synthetic data to fill an empty database with – a performance estimation technique covered in “Back of the Envelope”. This book reminds me a lot of Programming Pearls, but it’s actually better, because it’s less focused on code. Instead of worrying about code, the authors boiled down all the practical approaches that they’ve found to work in the real world into this one book. Not all of these things are technically programming. For example, asking yourself “why am I doing this? Is this even worth doing at all?” isn’t thinking outside the box; it’s something you should incorporate into your daily routine to keep yourself – and your co-workers – sane. And that’s what makes Pragmatic Programmer such a great book. If you’d like to know a little more about the book, I created a HTML version of the pullout reference card included inside, which provides a nice overview of the contents. Jakob Neilsen is well known for his usability site, and his career as a usability expert extends back to 1989 when his first book was published. Designing Web Usability is of course a full-on web usability primer, so it’s a bit different than the GUI-oriented Cooper books. Information is beautiful. And so is a well-designed GUI. You don’t need to own all four books in the series unless you’re a completist (or a masochist, I suppose), but the first two are essential. Chris Sells has some interesting insight on the Tufte books based on a Tufte seminar he attended in June 2004. UNIX has a well-deserved reputation for being complex and impenetrable. So do Regular Expressions. I may be a card carrying member of the “Keep It Simple Stupid” club, but I’m making a meteor sized exception for regular expressions. Written properly, they will save you a tremendous amount of time in string manipulation, and I’ve never run across a project where they didn’t come in handy somewhere. Once you delve into the world of regular expressions, you may become drunk with the amazing power and potential they have, which results in things like Perl. Remember, absolute power corrupts absolutely. But it also rocks absolutely.